The Festive Season and Getting Away On The Cheap. The Festive season is fast approaching, and this usually means holidays for a lot of people. We get it, not everybody has the budget to get away on that long needed vacation, even if it is only for a few days. There are a few things that can be done to help ensure you and your family get away on the cheap. 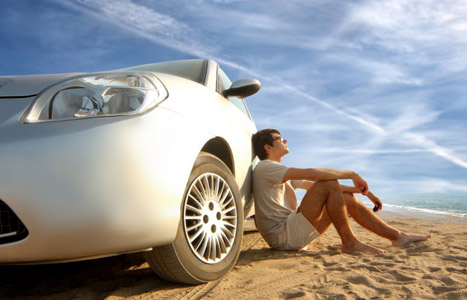 LifeSocial offers a free car and campervan hire service. So free hire of a vehicle. It's a one way hire, so you will need to check out what vehicles are available coming back, these are updated daily. Alternatively you can use the LifeSocial rideshare service in combination to ensure you get there and back. LifeSocial will list a vehicle for free hire. Let's say for example: the car is going from Sydney to Melbourne, 5 days free. Available now until October 31st. Included: $100 fuel and Vehicle Insurance. This means you have 5 days from the time you pickup the vehicle from Sydney to get it into Melbourne and drop it off at the advised location. You can pick up the car from Sydney anytime between now and October 31st. When the vehicle is dropped of at it's location in Melbourne you will be reimbursed the $100 for fuel, if an accident occured you would be covered by the insurance that was included. Each vehicle varies in it's inclusions so it's important to check this out before accepting the vehicle. During the holiday festive season accomodation tends to be booked out, so consider booking accomodation early. You will get better deals and secure your place. If you're hiring a campervan you are kind of set, after all it is a cabin on wheels. You will need to find and book appropriate camping grounds, we'd advise against setting up camp outside someone's house. AirBnb have houses, units and apartments for rent at great prices, keep in mind that these are other peoples houses but during your stay the house is vacated by owners and completely yours. Remember everyone else has the same idea you do, theme parks and popular attractions can be very busy. But we're not saying impossible. It's worth planning some things to do ahead of time. If you want entry to a theme park or popular attraction consider buying your entry now rather than on the day.